Decay, damage and infection can happen to anyone. When one of these issues affects the health of your mouth, don’t delay in seeking treatment. Dental problems don’t go away on their own, but Dr. Nawrocki provides excellent restorative care to help you smile healthily once again! We are proud to offer the following treatments for patients in and around Orange Park. Crowns can be used in cosmetic procedures even when structural integrity is not called into question. They can be made from metals like gold, or from porcelain, porcelain fused to metal, or all ceramic. Bridges, by contrast, can be used when one or more teeth are missing or need to be extracted. A bridge will span the gap between missing teeth. The bridge is held in place by the teeth that are adjacent to the edentulous area. These teeth are called abutments and can either be natural teeth or implants. The result of a properly designed bridge is aesthetic, cleanable, and functional. Forget the days when repairing a tooth from a cavity meant maring your smile with a silver or amalgam filling. With composite resin, Dr. Nawrocki can repair decay with natural-looking, tooth-colored fillings. Also called white fillings, this method is just as sturdy as silver fillings, but it actually requires less removal of the natural tooth structure, which is always a good thing. And in addition to those significant benefits, there’s also absolutely no risk of mercury exposure with natural composite resin. That’s why many patients choose to have their silver fillings replaced with tooth-colored ones, a relatively simple procedure Dr. Nawrocki performs in our Orange Park office. The same material used in tooth-colored fillings is also used in a process we call cosmetic bonding. A fantastic alternative to more expensive cosmetic treatments like porcelain veneers, cosmetic bonding can repair teeth that are chipped, cracked, slightly misaligned, gapped, or discolored. When you’re missing one or more teeth, you’re also missing out on a big part of life -- smiling, speaking, and eating with ease and confidence. 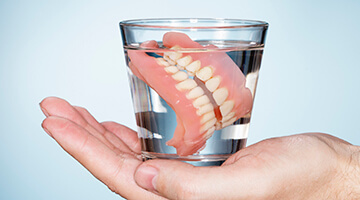 Dentures can restore your ability to do all three while improving your oral and overall health too. Dr. Nawrocki can fit you with full or partial dentures, which are simply prosthetic teeth attached to a gum-colored base. Secured in the mouth by clips, brackets or an over-the-counter denture adhesive, dentures can help you enjoy life with a complete smile once again. Dentures can also be held in place by dental implants -- the best option in tooth replacement. Dr. Nawrocki performs the most conservative treatments possible at all times, and the goal is always to save your natural teeth. When an extraction is necessary for oral and overall health, we do not shy away from doing what needs to be done. Tooth extractions are a necessary part of dentistry, especially for wisdom teeth that have become infected or impacted. 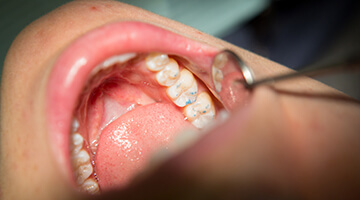 Crowded teeth also often need removal in advance of orthodontic treatment. Dr. Nawrocki performs comfortable extractions as necessary.